Congressional Democrats blasted President Trump on Tuesday for warning that North Korea will be "met with fire and fury" by the U.S. if it continues to ratchet up tensions involving its nuclear program. The president made the remark during a briefing on the opioid epidemic from his golf club in Bedminster, New Jersey where he's on a 17-day vacation. "North Korea best not make any more threats to the United States," Mr. Trump said. "As I said, they will be met with fire, fury and frankly power the likes of which this world has never seen before." Earlier in the day, it was revealed that a new U.S. intelligence assessment concludes that North Korea has developed the ability to build a nuclear warhead small enough to fit on top of a ballistic missile, including an intercontinental missile that can reach the U.S., reported CBS News' David Martin. Several key Democratic lawmakers said that Mr. Trump's heated rhetoric will only make the situation worse. 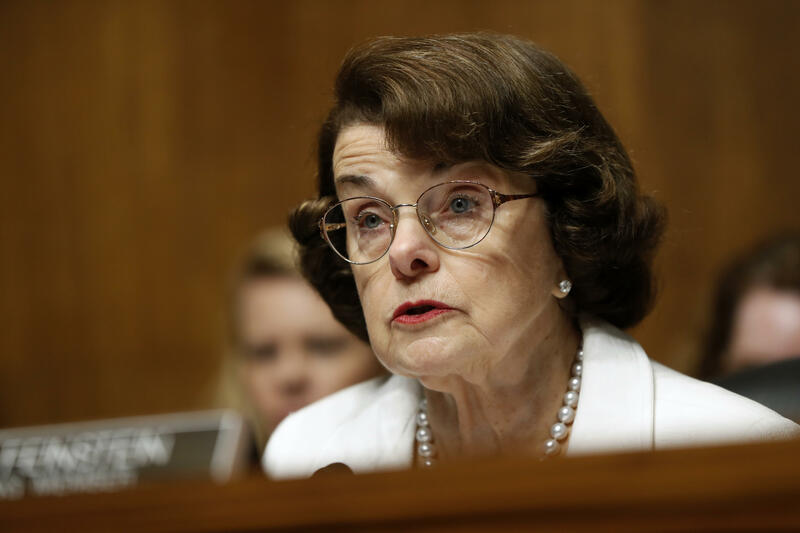 Sen. Dianne Feinstein, D-California, who previously served as a top member of the Senate Intelligence Committee, tweeted that isolating North Korea "has not halted their pursuit of nuclear weapons." She said "diplomacy is the only path forward." Feinstein went on to say Secretary of State Rex Tillerson, who's currently in Asia, should discuss the reopening of North Korea talks with U.S. regional partners. The situation on the Korean peninsula is already volatile enough. President Trump is not helping the situation with his bombastic comments. Rep. Kathleen Rice, D-New York, said that the president's remark sounded more like a statement from "the 'Supreme Leader' of North Korea than from the President of the United States." Rep. Eliot Engel, D-New York, the top Democrat on the House Foreign Affairs Committee, said that the president has undermined U.S. credibility by drawing "an absurd red line." Rep. David Cicilline, D-Rhode Island, tweeted a statement that said, "This is not a time for escalating rhetoric that threatens to bring the world to the brink of war." Rep. Betty McCollum, D-Minnesota, tweeted that Mr. Trump's threat is "dangerous" and "risks war." North Korea is a global threat that requires American diplomacy. @realDonaldTrump’s threat of “fire and fury” is dangerous and risks war. Rep. Ted Lieu, D-California, tweeted that the president's remark was "reckless." Rep. Ro Khanna, D-California, said that this is "not the time" to issue more threats and to test North Korea's long-range missiles. This is not the time to push North Korea to make more threats and continue to test its long-range missiles. The House and Senate have gone on their month-long recess for August and aren't scheduled to return to Capitol Hill until September. Sen. John McCain, R-Arizona, also had some tough words for the president. "I take exception to the president's comments because you've got to be sure that you can do what you say you're going to do," he said in an interview on KTAR Phoenix. "I don't believe that President Reagan or President Eisenhower or other presidents that I've admired would have said the same thing. They might have done as much as we could but not that kind of rhetoric, I'm not sure how it helps."